Hi, my Name is Marcel and I spend most of my time helping organizations build Enterprise (Cloud) Applications and implementing Application Lifecycle Management (ALM) practices and tooling. 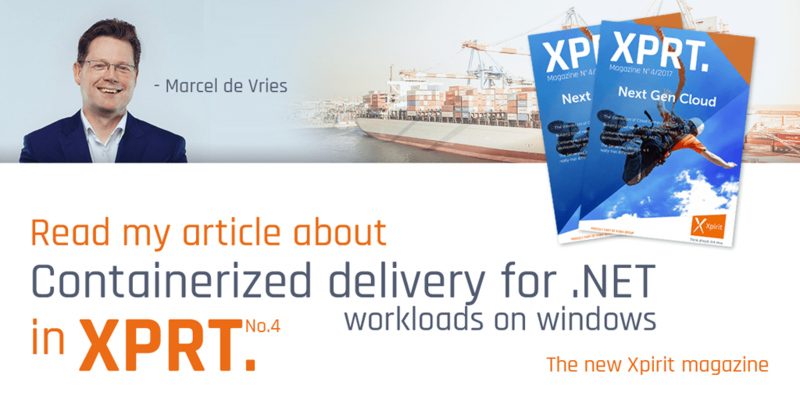 I work for a Dutch company called Xpirit and my job title there is Chief Technical Manager (CTO). As a CTO I spend most of my time looking at how new emerging technologies can help organizations build better quality software and do this is a more productive way. I have a passion for learning new technologies and teaching the things he learned on the way when applying technology to solve business problems. I Write articles and whitepapers on .NET, Application Lifecycle Management and Mobile solutions for websites and magazines like: MSDN, The Architecture journal and local magazines like SDN Magazine. I am also a frequent speaker at industry conferences like Microsoft TechDays, Visual Studio Live!, Microsoft Tech Ed and local user group events. I am awarded by Microsoft with the Microsoft ALM MVP award and am also a Microsoft Regional Director. I work with KPMG LLP in US (New Jersey). We are interested in having you for on site training about coded UI. Can you please email me your contact information? I just submitted a reply thanking you for a post you wrote over at InfoSupport back in 2007. I couldn’t reply to that post and thank you, so I’m visiting your new blog (congrats) to thank you properly. Problem: Random screen/system blackouts (a few seconds), then it recovers and looks normal. Seemingly Unassociated Problem: CPU & Motherboard Temperatures 60-degrees or more – ALL THE TIME – under all conditions – except when turned off. The problem with my screen “blacking out” and recovering randomly started about a week ago and has been worsening ever since. Today it happened probably 5 or 6 times in under 2 hours! The last time it happened was so bad that after it recovered, many web pages and even my desktop had areas of fuzzy, black, horizontal lines, so I knew the problem was bad. I started searching and found many, many similar situations/posts and “solutions” but they either weren’t for my system or they just plain didn’t work. I also tried installing and running Microsoft’s “Fix It For Me” program. That didn’t work either. I went to Nvidia’s site and Dell’s site. Nothing there, but Nvidia’s official line on the one driver I did find for my display adapter was it is “not compatible with Dell Latitude” and Dell’s official line is that the Latitude D620 is not compatible with Windows 7. Needless to say I was hitting a lot of brick walls. But from everything I’ve read, and with so many people running Windows 7 on the D620, it seems it’s not so much the OS that isn’t compatible, but rather a few specific drivers, that are the problem. a.	I’m not sure what this is or does exactly, but I followed the prompts and it ended up settling on Windows Vista (?). It originally tried to settle on Win XP, but that didn’t work. So, it settled on Windows Vista and installed just fine. 4. It then had to Restart to finish the installation. a. At this point the resolution looked off and I was worried it wasn’t going to work, but I let it continue. 5. It actually had to Restart TWICE to finish the installation. a. At this point the resolution was back to normal and all was well. And, this may just be a HUGE coincidence, but: my CPU and motherboard temperatures have normalized. For the first time since I’ve owned this machine, the bottom of my laptop is not an oven! It used to get so hot, under completely normal, low-impact, use that I was certain the whole machine was just going to keel over and quit. Since the new (old) display driver has been installed, I can actually work with my laptop on my lap and not have to hold it sideways or stand it up vertically to give the bottom some air!! I’m not sure if this is from this new (old) driver, but I’m extremely pleased. Whoever thought going backwards could put you ahead in the technology game? Hello just wanted to send a reply thanking you for you Pluralsight training’s they have been beyond valuable for starting the learning process for all the functions of automated UI testing. I am currently a student as well as an Intern and have been put lead on automating the companies QA division. We are currently starting from scratch as far as automation goes and have made quite a bit of progress over the past few weeks converting our manual tests to automated. However there have been quite a few roadblocks one large one being our use of Telerik which leaves a lot of the websites functions properties very generic.. So as you can imagine searching for them through VS is difficult sometimes even with the embedded record functions. Do you have any other sources for learning outside of PluralSight and/or any ideas where I might find additional resources? Or even any tips or tricks that might be useful to someone just getting started with the process would be greatly appreciated. Thank you again for what you already have out there it is extremely beneficial for someone just getting started with automation. I attended your presentation on Feature Toggles at VSLive 2018 Vegas. In that session, you were asked about database schema changes, and you listed four steps. Can you reiterate those, please? Sure, First create and deploy binaries that understand multiple schema. Then deploy your schema change (preferably creating new tables to avoid exclusive lock on table when changing the schema). Then migrate the data (slowly, so you don’t generate a denial of service on your own DB). Then clean up the old schema and finally deploy new binaries for your latest schema. First of all, congratulations! Your courses on PluralSight are awesome. Thank you. I’d like to ask one thing about the release branch on Git Flow. In your demonstration “Git Flow in action”, you create a release, and then finish it pushing the release on the master. But, what if i’d like to ask for a validation to the user in that release? According the git flow model, there’s no release branch on TFS, so it’s not possible to configurate a automatic build/release for every release. Today, in my organization, we have three enviroments: dev, homolog and production. Now we are migrating to Agile, and one steps to put software in production is a mandatory validation, in a meeting, at the end of the sprint. So the first idea was have the release available to be accessed in that meeting. Thanks in advance! All the best! As for the first part you can set a branch policy on the master branch that a pul request is required for the merge and then get the approval via the pull request. For the second part you can use feature toggles. you move everything to production all the time, but on approval you flip the switch and things are live. Had a question about an issue I’ve been having for the past few days trying to get a proof of concept working for my boss. Just started implementing a coded ui test automation solution but keep running into an issue when starting the application. I get the exception even when the application (which is wpf by the way) clearly starts up. The application is a little strange as it currently is setup to run off of a setup.exe so the user always has the latest version. Am I missing something in my code (sample below)? Or does the application need to be better set up before I start writing the automation tests. EXE is located in a network location. The problem is probably that setup.exe is not the real program that is started. it is a bootstrapper, but you need the actual process and attach to that process.